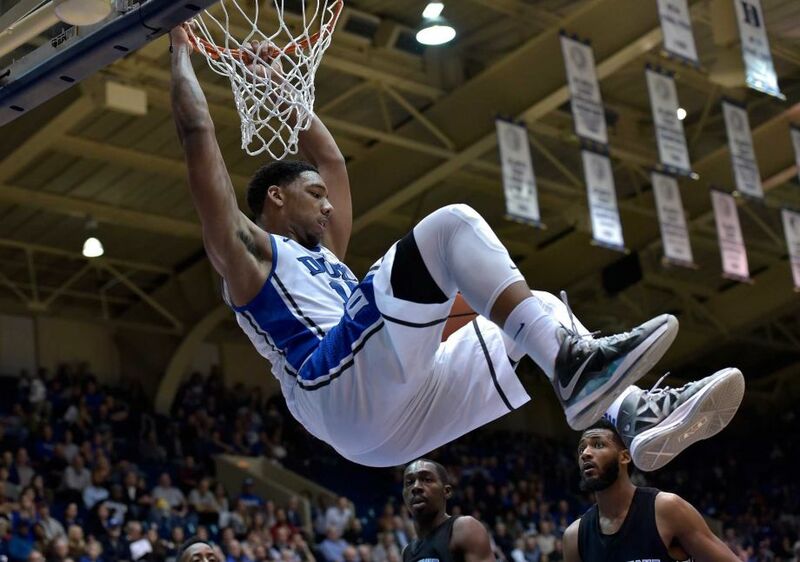 Jahlil Okafor is a standout freshman basketball player for Duke University and a projected top-5 pick in this Summer’s NBA Draft. Future changes to NCAA policy could keep players like him in school for two years or more. Imagine having a skill set that allows you the opportunity to earn millions of dollars. You’re one of the few people in the world who can do what you do and it is in incredibly high demand at a high cost. It doesn’t matter the field; it could be medicine, landscaping, plumbing, or pool cleaning. Just know that what you do, no one else can do it at the same level. Now imagine being told you can’t do it professionally for two or even three years for “social” and “academic” reasons. Freshman ineligibility. That’s the “solution” the NCAA and conference commissioners have proposed for college basketball players. You see, they view the concept of “one and done” as an “issue” that needs to be addressed. My question to them is simple: Why? Their answer, of course, is the same old mix of “academic” and “social” well-being. Pac-12 commissioner Larry Scott says he’s had “several” conversations about it with other commissioners and that they are “pushing” for it; the general idea being that some (not all) would be forced to sit their freshman year if academic benchmarks aren’t met before the athlete comes to the school. The NCAA is even going as far as adopting the criteria for incoming freshman with some being affected as early as 2016. We live in a world today where, lets face it, college isn’t for everyone. Smart people, the ones who know what they can do and how to get paid for it, are eventually going to do just that. If they can’t bypass the system here in America, they’re going to do it in Asia or Europe. It’s that simple. I mentioned last week that I am all for separating the athletic/university system altogether if modern, mutually beneficial change can’t be met from the people running the show. How can we rationalize being for capitalism, which is defined as an economic and political system in which a country’s trade and industry are controlled by private owners for profit, rather than by the state, yet have state-run institutions (universities) and non-profits (NCAA, NBA, NFL) set up a system in which you can’t bypass it and cash in on your own gifts despite your age? Investing the new TV revenue in degree completion. There’s an idea; except that would hurt the bottom line of the conference commissioners and the NCAA executives. John Wall, Kyrie Irving, Derrick Rose, Anthony Davis, Anthony Bennett, and Andrew Wiggins have all been number 1 overall picks since 2008. They were also one and done players who produced quite a bit of revenue for the NCAA and the universities they attended. The only issue I see is panic from the people running the conferences and the NCAA as they realize they’re involvement in these players lives is no more than that of an unnecessary roadblock.